Into Banda Aceh with a few sturdy boards, the newly redesigned Light & Variable(R) Hoody takes you far beyond the tourist trail. 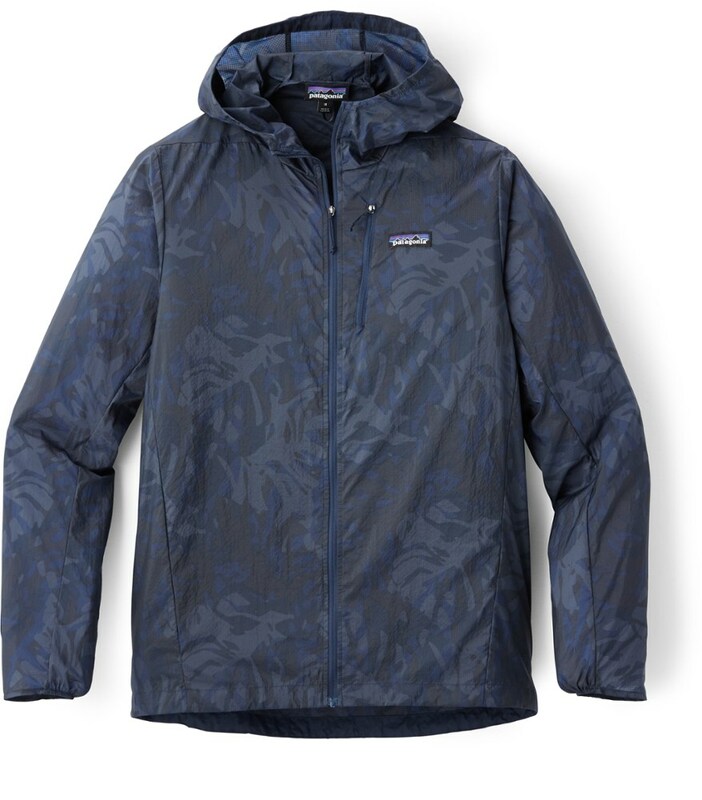 This pared-down hooded jacket is wind- and weather-resistant for light showers and brisk boat rides back from the reef. Made of lightweight 2.7-oz 100% recycled polyester with a DWR (durable water repellent) finish, it provides 50+ UPF sun protection and stuffs into a small pouch to double as a travel pillow. Now trimmer through the body, it features a center zipper with a rope pull and flat-felled seam detailing. The hood has cinch ties for an adjustable fit. Self-lined, zippered handwarmer pockets have flat-felled side seams and rope-pull closures. The left pocket serves as a self-stuff pouch with carabiner clip-in loop. Details include a drawcord hem, elasticized cuffs and reinforced vents under the arms for better breathability in warmer weather. Hip length. 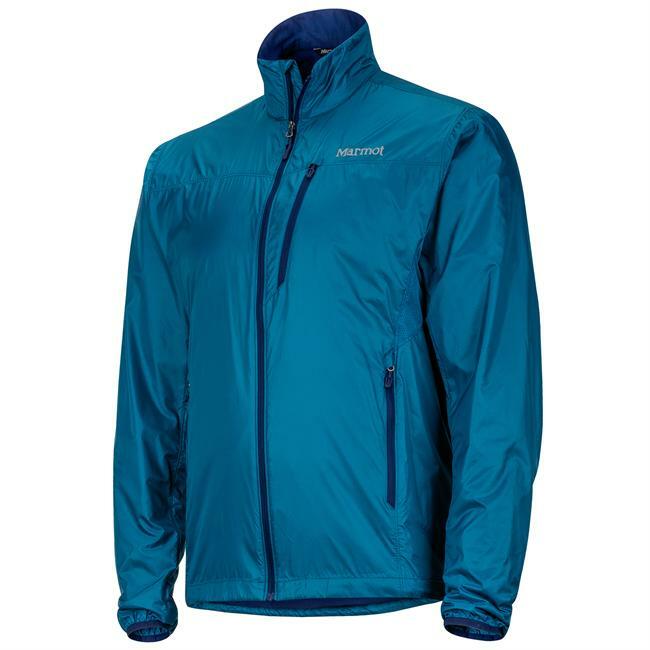 Patagonia Men's Apparel Clothing Light & Variable Hoody - Men's-Fire-X-Large 27236FREXL. It's windproof and weather-resistant for sudden cloudbursts or brisk boat rides back from the reef. 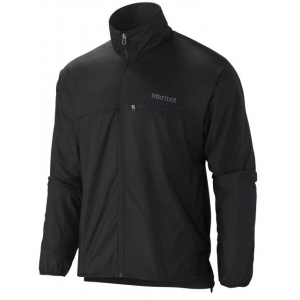 Elasticized cuffs keep out the wind and reinforced vents under arms maximize breathability. An ideal travel companion is there for you when that's what you want, stays out of sight when not needed, and doesn't complain. 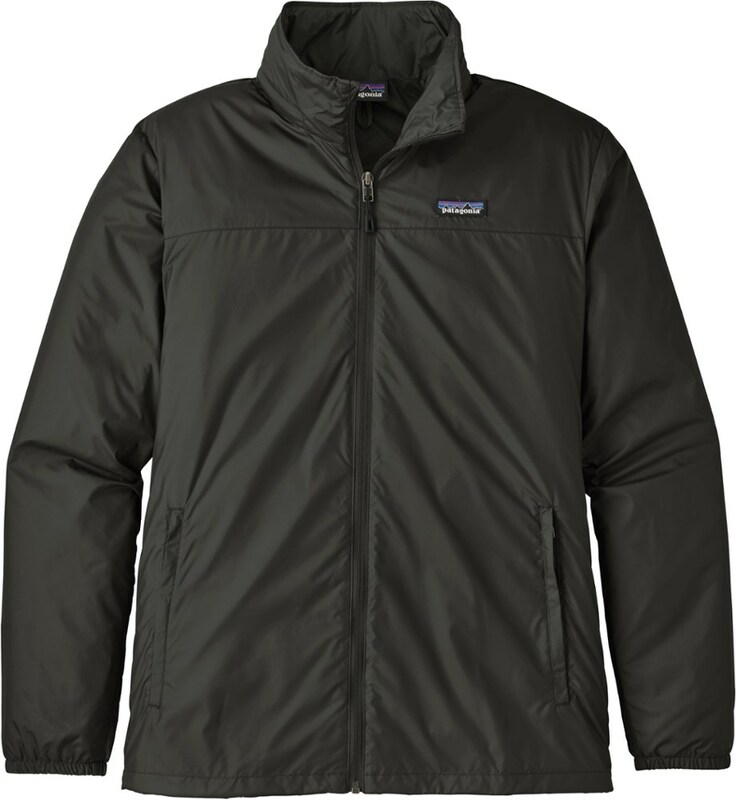 An even better travel companion, like the Patagonia Men's Light & Variable Full-Zip Hoodie, is lightweight, wind-resistant, and protects you with a DWR finish from rain and a UPF 50+ rating from sun. The all-recycled polyester fabric of this full-zip hoodie is an environmentally friendly choice, and the fact that the jacket packs down into a small pouch means you can easily pack it along on those trips to see the world you're saving. 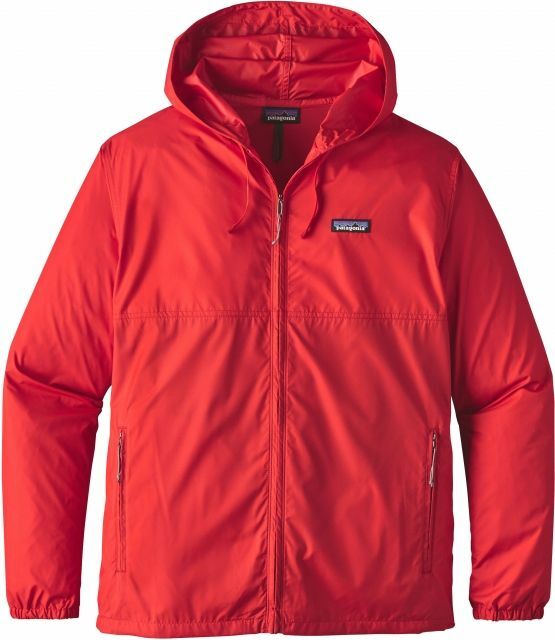 Your go to for adventures or trips around town, the Light & Variable Hoody from Patagonia is classic and courageous. 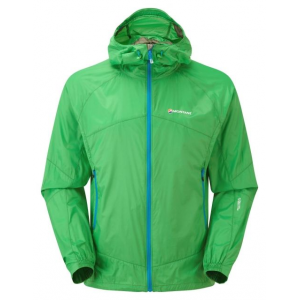 It packs down into a convenient stow pocket yet still packs loads of wind and weather resistance. 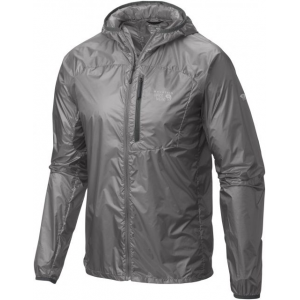 PRODUCT FEATURES: Versatile, wind- and weather-resistant recycled polyester fabric with a DWR (durable water repellent) finish and 50+ UPF sun protection. Fabric is bluesign approved Full-length center-front zipper has flat-felled seam detail and a climbing-rope-inspired zipper pull; stand-up collar with chin flap to prevent chafing Self-fabric-lined handwarmer pockets with flat-felled side seams and climbing-rope-inspired zipper pulls; left pocket converts into a stuffsack and has a reinforced carabiner clip-in loop Comfortable elasticized cuffs keep out drafts; reinforced circular vent holes under arms for breathability Adjustable hem drawcord for maximum weather protection Hip length Body: 2.7-oz 100% recycled polyester with a DWR (durable water repellent) finish and 50+ UPF sun protection. Fabric is bluesign approved 238 g (8.4 oz) Made in Vietnam.